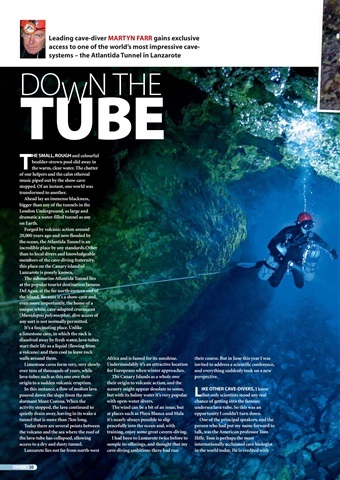 DIVER is Britain's best-selling scuba diving magazine – regularly out-performing all its competitors combined on the open market. 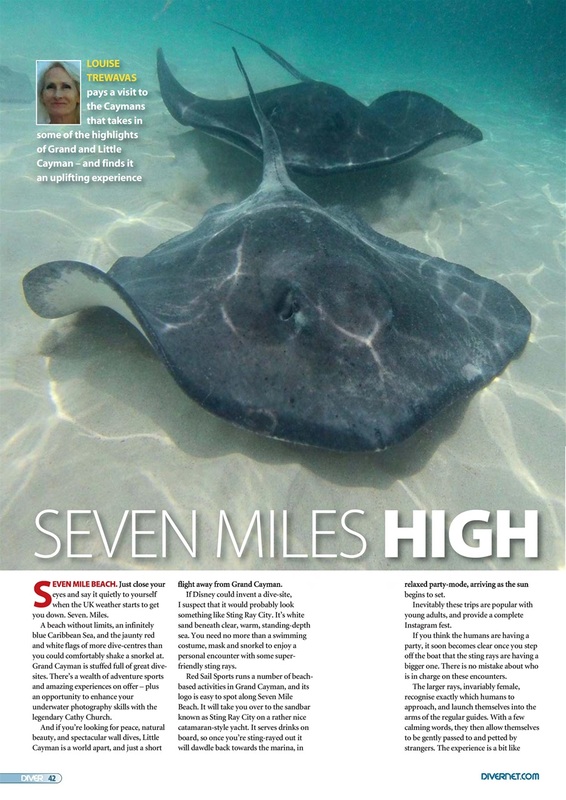 • TOBAGO – Revel in the north. 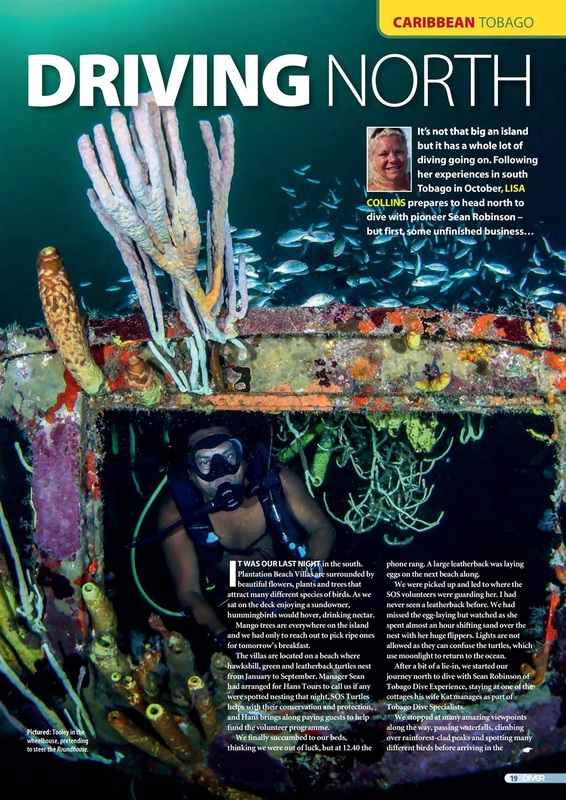 • GRENADA – Bad start means the only way is up! • CAYMANS – Louise Trewavas hits Grand and Little Cayman. 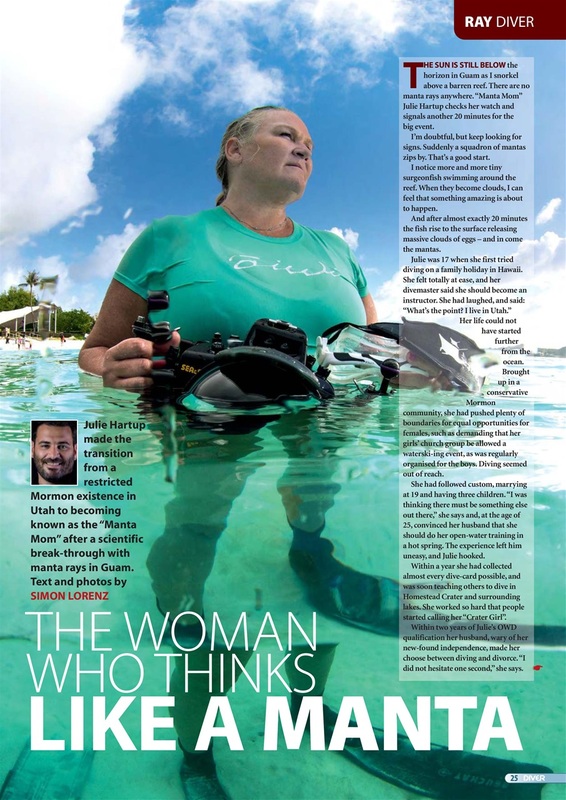 MANTA MOM – Meet Julie Hartup, Mormon turned ray-mother. 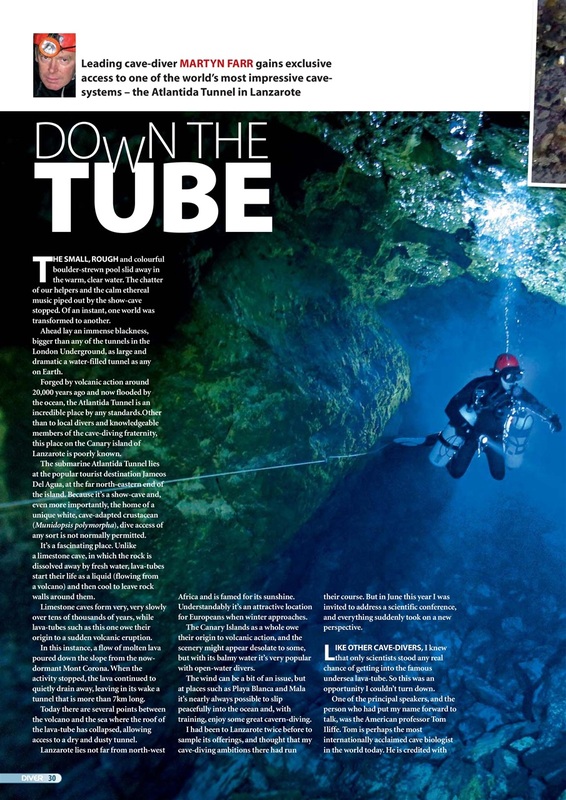 LANZAROTE CAVES – Martyn Farr gets exclusive access to Atlantida caves. 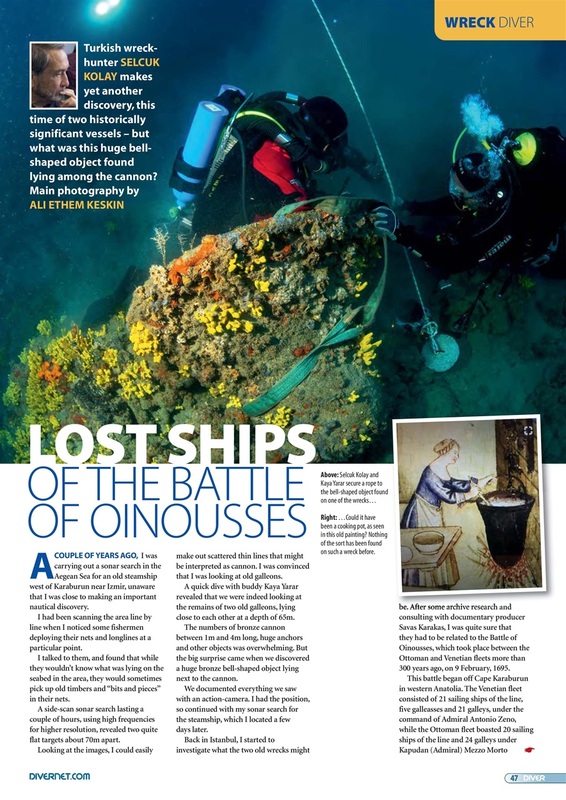 OINOUSSE WRECKS – Selcuk Kolay discovers two 17th-century warships. 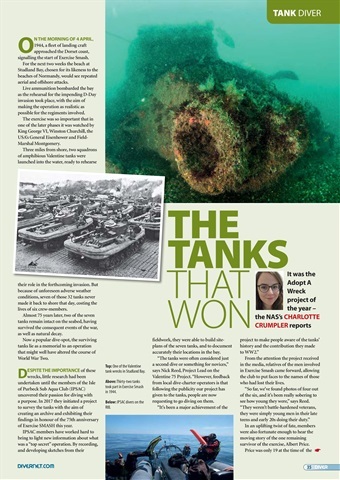 VALANTINE TANKS – Dive-club pays tribute to Dorset’s Valentine tanks. 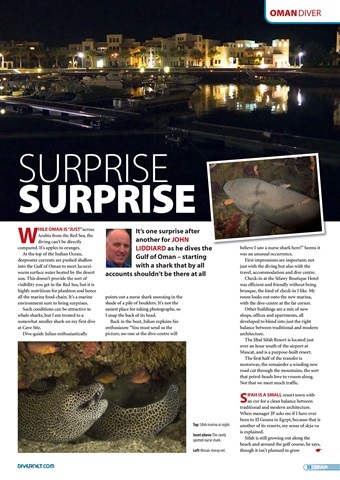 AZORES – Heading mid-Atlantic with blue sharks in mind. OMAN – What’s that shark doing here? MONARCH – It’s not every day you find a gold ring on a wreck. 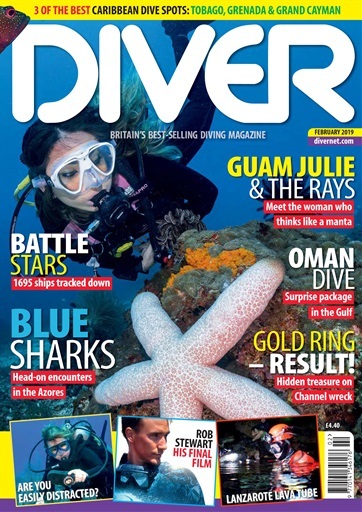 You'll receive 12 issues during a 1 year DIVER magazine subscription.